I made lots of presents last Christmas and gave them to friends and family. In January I took on the slightly more ambitious project of crocheting a jacket for our little Fluff. It is, at long last, finished. I made so many mistakes along the way that it’s a wonder it did get finished. I got fed up with it at one point and made a couple of other (smaller) things as gifts. 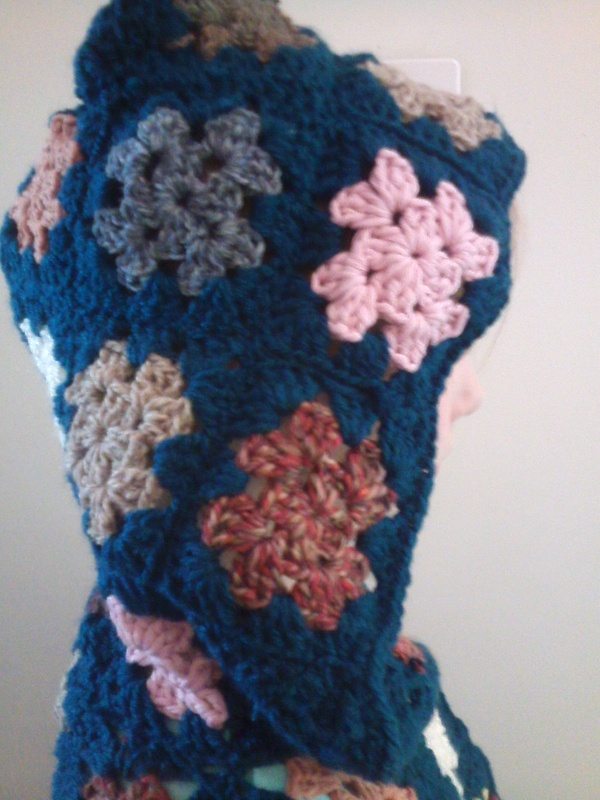 Nonetheless, I have hidden or snipped off the unsightly ends and crocheted a border around all the edges. 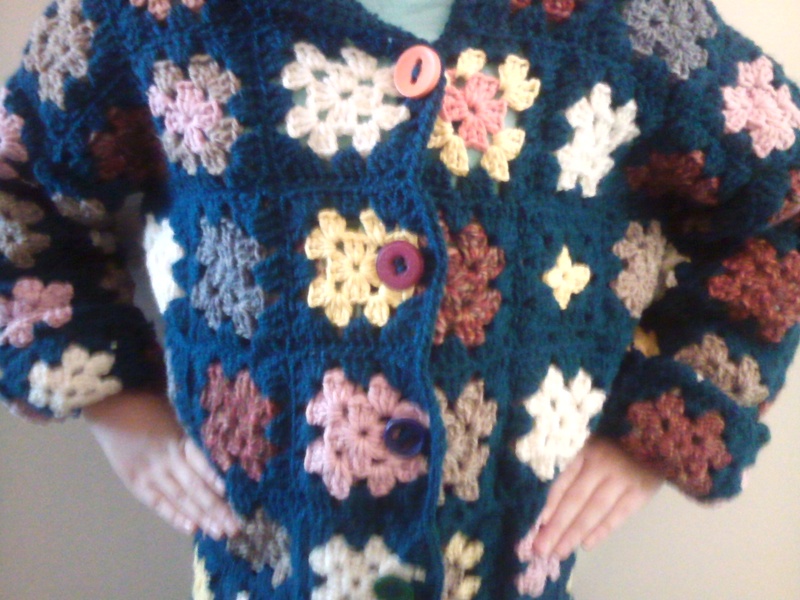 I then added some large mismatched buttons from my craft box to give it an extra little je ne sais quois. The pattern came from Kitsch Bitsch and can be downloaded here for a small fee (I have no links to the site – it’s just a good pattern). 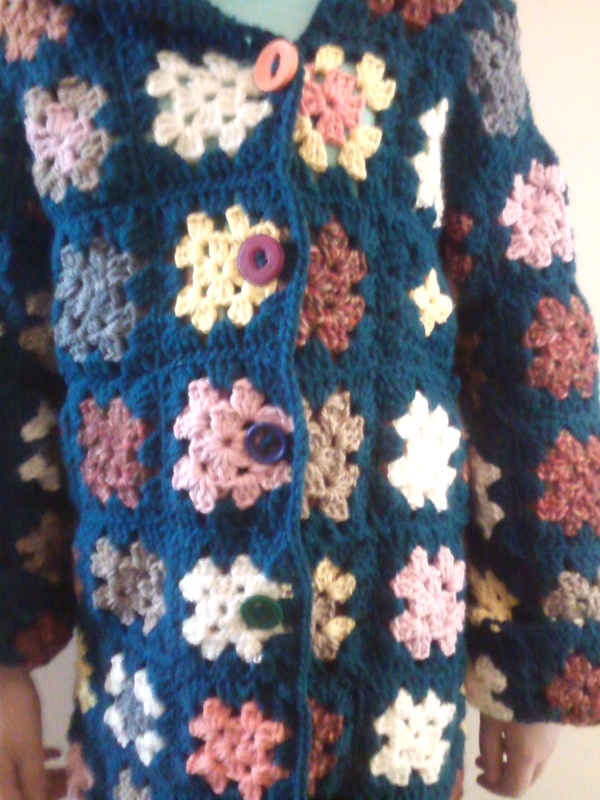 I adapted it to make a jacket suitable for my daughter as the instructions were for adult sizes. For this project I bought Rowan Purelife Renew, which is made of recycled wool. I also used yarns that I already owned, including Aran weight acrylic yarns in dark green and cream, Sirdar Simply Recycled cotton in yellow, coral and tan, plus some pure British wool yarn, both dyed and undyed. My photography skills really don’t do it justice. It looks much better in real life!